2019 may be the year the concept of circular economy goes mainstream. And there’s good reason circular is catching on, even beyond the clear environmental benefits. A study by McKinsey and the Ellen MacArthur Foundation, found applying circular economy techniques could boost Europe’s resource productivity by 3 percent by 2030, generating cost savings of €600 billion a year and €1.8 trillion more in other economic benefits. On the heels of a major circular economy innovation announcement at the World Economic Forum last month, a big global brand is now looking to bring the concept to millions of homes worldwide. This week, Ikea announced a new furniture leasing option prolonging the lifecycle of its products. Now, consumers will have the option to lease Ikea furniture and return when it is no longer needed. The furniture giant will then refurbish the items and sell them, extending the use. The initiative also goes beyond household items, as Ikea is implementing the leasing option for office furniture as well as Ikea kitchens – allowing consumers to borrow units and then return in exchange for new colors or configurations. 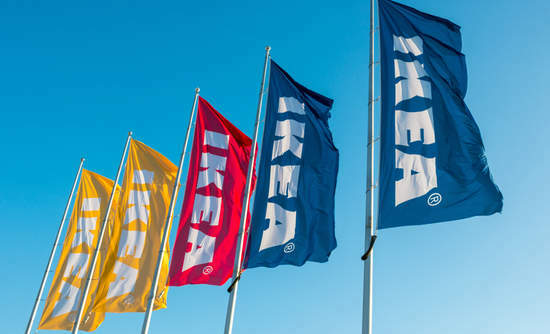 Currently, Ikea has plans to conduct a trial of the program in Switzerland.